The unique experience of visiting Expo Milano, the World Fair to be held in the Lombard capital from May 1st to October 31st 2015, is combined with the Italian culture as well as natural landscapes in this incredible tour. From the Shopping Experience to team building activities and from the “Fashion Dinners” to the Spa at the lake, it is a unique and not to be missed opportunity to experience Italy and savour its famous wine and food heritage. Upon their arrival in Milan, at the airport or the train station, the guests will be welcomed by a dedicated service staff and will be taken, either by Deluxe bus with driver or by a private car with driver, to the Hotel. Upon arrival at the hotel, exclusive dedicated check-in and welcome cocktails. Lunch at selected restaurant, a veritable paradise for gourmets, offering a breathtaking view of the Duomo’s rooftop with its countless spires. Shopping Experience: an afternoon dedicated entirely to satisfying the guests’ shopping mania. They will be accompanied on a personalised, exclusive itinerary by an expert consultant who can guide them through the secretes of the celebrated “quadrilateral of fashion”: an irresistible attraction for those seeking to learn all there is to know about the latest novelties and trends in terms of clothing, jewels, bijoux, beauty products, as well as furnishings, books, CDs and DVDs. This will be followed by the original and entertaining Team Building experience: Fashion Addicted. No longer mere spectators, but protagonists of the world of haute couture. The guests will form various teams, each of which will become a «Maison» where each participant plays a specific role: such as model designer, tailor, creative director, member of the technical staff. They will work with materials of all kinds, some of them very original, to create personalised collections leading to an exciting conclusion on the catwalk. Dinner at selected restaurant that offer a full immersion in the cooking traditions of Italy, and those of Sicily in particular, enriched with an international touch, and served in a captivating “Dolce vita” atmosphere. At the end, return to the hotel and overnight stay. After breakfast at the hotel in a reserved area, the morning will be dedicated to «Unusual MILAN». An original itinerary encompassing the most suggestive corners of the city and making use of a classical old-time Milan streetcar, with its unmistakable design, booked and reserved for exclusive use by the tour participants. The vehicles making up the streetcar may be personalised with a company logo, and the interior may be furnished with cushions, aisle carpets and curtains. It is also possible to arrange an onboard catering service, for a cocktail, or even for a dinner. Lunch at selected restaurant a few steps from Piazza Duomo. This establishment is celebrated for the extreme care that goes into the selection of the raw materials, which are purchased from highly qualified suppliers, and the attention devoted by its chefs to the preparation of the dishes. Very rich is the wine list. The afternoon begins with a top-notch cultural itinerary: accompanied by an art expert, the guests will visit two major museums: the New Museum of the Cathedral and the Museum of the 20th Century. The former makes it possible to admire the precious artwork stored in the Duomo of Milan; inaugurated in December 2010, the latter is a thrilling excursus through the history of 20th century Italian painting and sculpture. This is followed by a more frivolous but equally exciting shopping tour. The destination is The Mall Excelsior, a stunning seven-story high shopping centre that rises in the historic Galleria del Corso building, which used to house the Excelsior movie theatre, one of Milan’s best known cinemas of yesteryear, where films were shown on first release. Restructured by Jean Nouvel, the building is an authentic kaleidoscope of dazzling visual effects, with escalators and elevators that seem to float in the air. Yet another idea: a gourmet break to taste the famous panzerotti by ‘Luini’, one of Milan’s historic bakeries, or, as an alternative, another classic from the city’s convivial tradition: a Glamour Cocktail. Happy Hour at historic hangout in Milan, celebrated for being one of the largest in the world and for its famous Cuban-made counter. This is followed by dinner at selected restaurant located in the suggestive setting of an ancient desecrated church in the centre of the city, this establishment stands out for its exclusive international atmosphere and is the ideal location for high-end parties and events. At the end, return to the hotel and overnight stay. Breakfast at the hotel in a reserved area. The better part of the day will be dedicated to Expo MILAN 2015, the exhibition of which Alessandro Rosso Incentive is the authorised ticket seller. Yet another idea: business meetings may be held on an exclusive basis at the Meeting Room in the Italia Pavilion. Lunch in the Sky, the extraordinary emotion of having lunch amid the clouds, literally in mid air, at an altitude of 50 m above the ground, on a platform suspended from a crane that can accommodate up to 22 people. The ideal solution to add an original and unusual touch to a get-together, an event, a business meeting. Back to the hotel by Deluxe bus or private car with driver, and free time to relax. Dinner at selected restaurant featuring a splendid summer garden, the ideal place to have dinner or to sip a cocktail, with music galore for people wishing to take a spin on the dance floor. After dinner, disco dancing galore. At the end, return to the hotel and overnight stay. 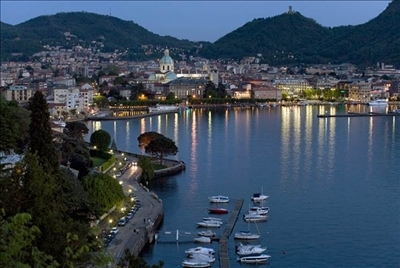 Transfer from Milan to Lake Como by Deluxe bus with guide. After a journey of about one hour and 20 minutes, arrival at the hotel where the guests will receive a welcome cocktail and will profit from an exclusive dedicated check-in. This 5-star luxury hotel is situated in the charming village of Blevio, on the eastern shore of the lake, but 5 km from Como. With its facilities consisting of luxurious villas and a luxuriant botanical park, it offers the highest degree of privacy and is the ideal setting for a romantic weekend, or a highly prestigious venue for an event. Lunch at a refined à la carte restaurant inside the resort proposes the classical specialties of Italian and Mediterranean cuisine, with special regard to local traditions, with fresh pasta, bread, homemade pies and dishes prepared with farm-fresh, seasonal produce. An afternoon offering an exciting experience: an unforgettable tour along the roads that surround the lake, searching for the most charming views, aboard a vintage car or a legendary Vespa scooter, experiencing the caress of a gentle breeze coming off the lake. During the tour, stop at a café at a panoramic lookout point. Dinner at restaurant included in the Slow Food guide “Osterie d’Italia” for several years, this restaurant has retained its original identity and keeps offering specialties prepared with great care, based on typically Lombard recipes and using natural and genuine ingredients, not without an innovative touch, but always retaining a solid link with the land and its traditions. At the end, return to the hotel and overnight stay. Breakfast at the hotel in a reserved area. The morning is totally devoted to relaxation and wellbeing in the prestigious health and beauty facilities of the resort. The suggestive atmosphere of an old steamboat is recreated over an area of 1300 m2, which includes four spa suites for couples, dedicated to the four elements (fire, earth, air and water), guided paths and personalised treatments based on an innovative use of vegetal staminal cells. As an alternative: a thrilling seaplane tour, for 2/3 passengers, lasting about 30 minutes, or a tour of the lake by boat. 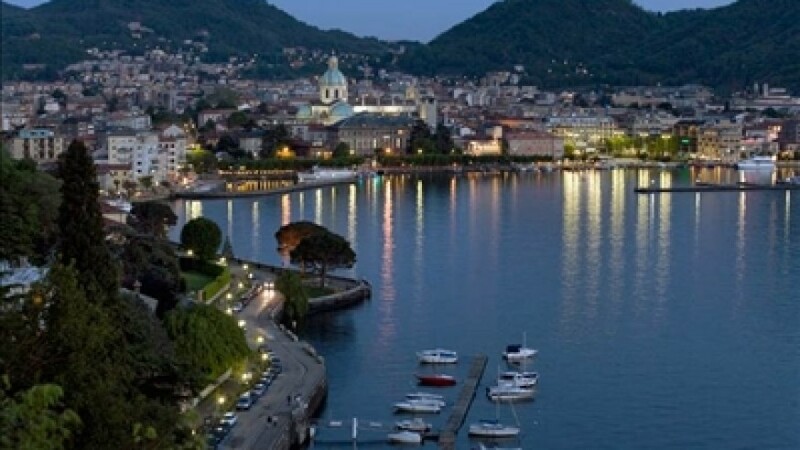 The splendid neoclassical building and historical mansion rising on the lake shore a few steps from the centre of Como, is the magnificent location selected for tonight’s dinner. In perfect 19th century style, this two-story villa, with three adjacent halls on the top floor and two halls at ground level, is the authentic embodiment of the classical hospitality of Lombardy and the genuine products of this land. At the end, return to the hotel and overnight stay. Breakfast at the hotel in a reserved area. 30 minute trip to the Fox Town Outlet in Mendrisio, across the Swiss border, for a morning entirely dedicated to shopping. Based on an innovative formula already used successfully in the U.S., the outlet brings together in its facilities the best known international companies that sell their products at factory prices, with discounts ranging from 30% to 70%. The extremely wide product line-up in its 160 stores includes clothes, leather articles, intimate wear, shoes, eyeglasses, watches, cosmetics, perfumes, household goods, linen, telephony, toys. Lunch at the outlet or at a restaurant.